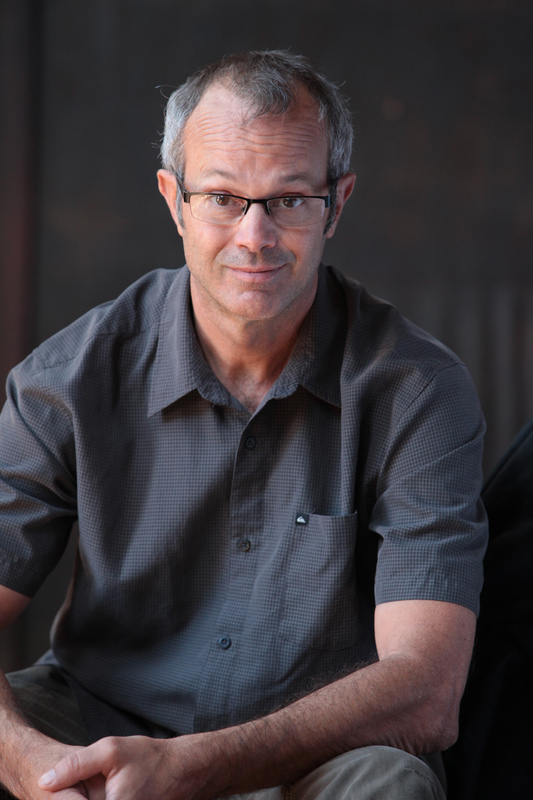 James Tyler received his MFA from Hampshire College, Massachusetts in 1975. Previously, he studied at Herron School of Art, Indianapolis. 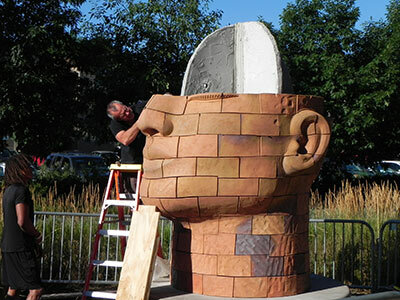 As a sculptor, he is best known for his Brickhead series. 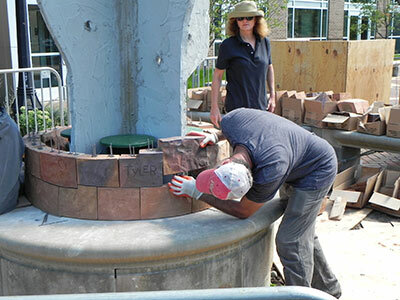 Tyler uses architectural red clay or buff stoneware, common materials in outside ornamentation. The bricks have a natural ceramic finish, and variation in color occurs only during the firing process. Each sculpture is handmade and unique. The bricks have an average thickness of three inches, and are assembled using stainless steel pins. This makes them heavy but it also exceptionally strong and durable. Tyler´s work has been exhibited across the United States and in 2006 he was appointed the first Executive Director of the GAGA Arts Center. 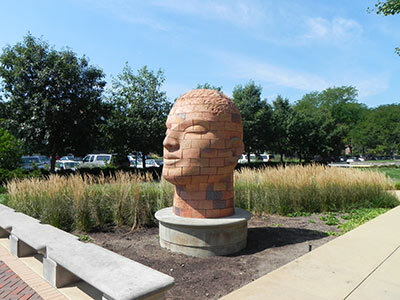 Two monumental Brickhead sculptures face one another across the South Campus Plaza of Purdue University. They stand in front of Pao Hall which houses the Patti and Rusty Rueff School of Visual and Performing Arts. Their eyes are closed. Sounds of the natural world emanate from the artworks, filling the air with morning bird calls, buzzing insects, and frantic night peepers. This ‘biophone’ of sound, recorded over several days in May 2008, is reconstructed within the architecture of the sculptures, creating a 24-hour chronology of life on earth. 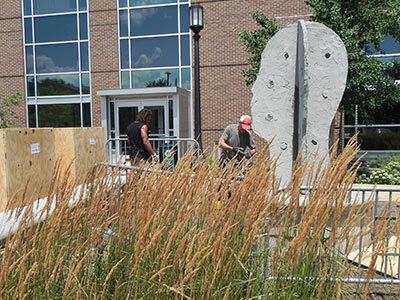 One additional sound element has been added to the installation; the haunting call of the Ivory-billed Woodpecker. Passersby interrupting motion sensors create accidental viewer participation. As the giant woodpecker’s call trumpets back and forth between the heads, a prematurely silenced conversation is revived, leaving the rest of us to ponder the meaning. The original sound recordings were provided by Professor Bryan Pijanowski in the Department of Forestry and Natural Resources at Purdue University. “Brickhead Conversations,” were dedicated on Wednesday, September 4, 2013.